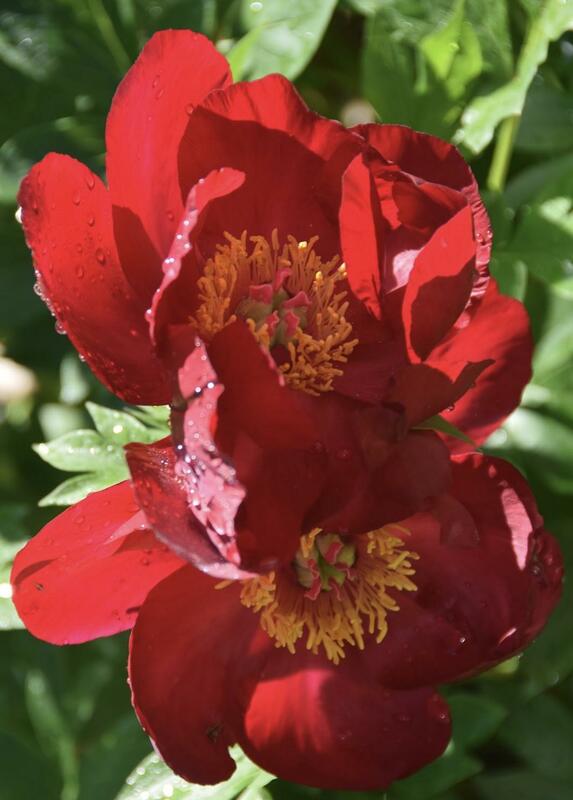 Crossed between a shrub and a herbaceous peony. Huge single scarlet flowers over a long period, May to June. Sun and a rich soil. 60cm tall. Pruning not needed.